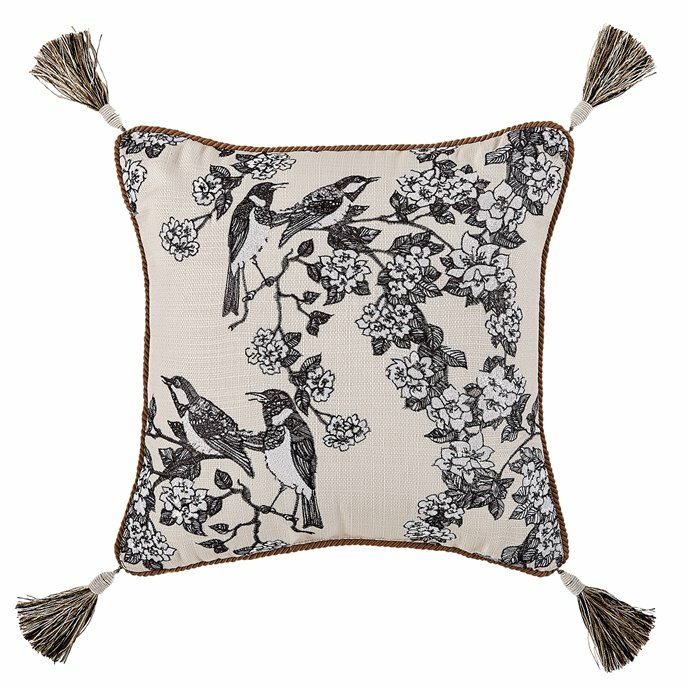 The Philomena 16x16 Fashion Pillow presents a stunning embroidered design featuring birds hanging out amongst the beautiful florals on an ivory textured ground. 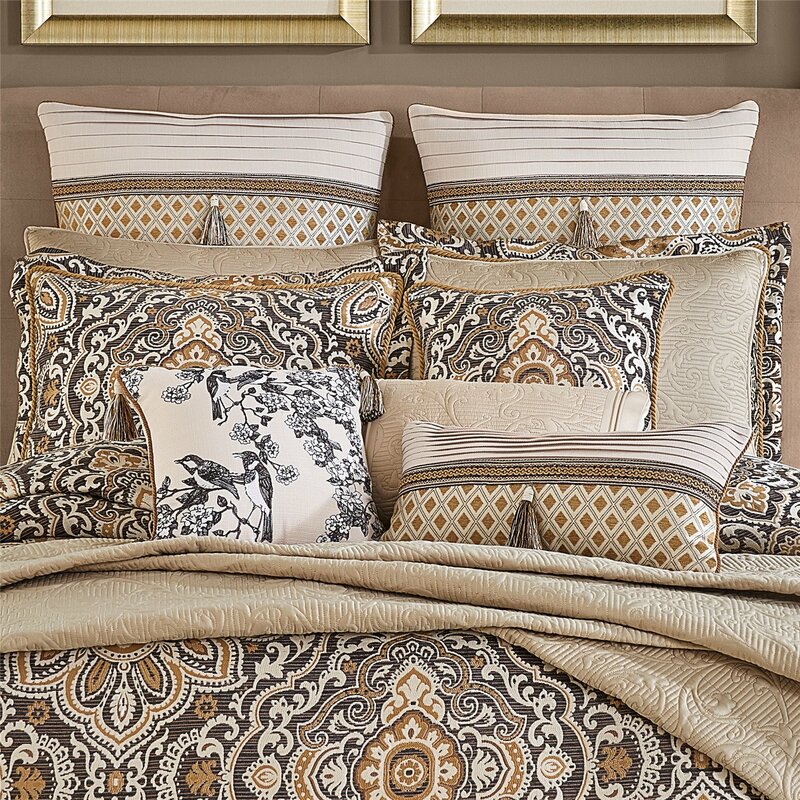 The pillow reverses to the ivory texture and is trimmed with a delicate twist cord and tassels on all four corners. One (1) Fashion Pillow, Measures 16x16, polyester fabric and poly fiber fill, spot clean recommended, imported. Manufactured by Croscill.